From the look of those kill markings it appears he's had a bit of a problem with blue v blue issues. Blue on blue. That's hilarious! Not sure why he's been going around shooting down f-18's, but who am I to question him? He's been in a negative 4g turn with a MiG 28. Inverted! 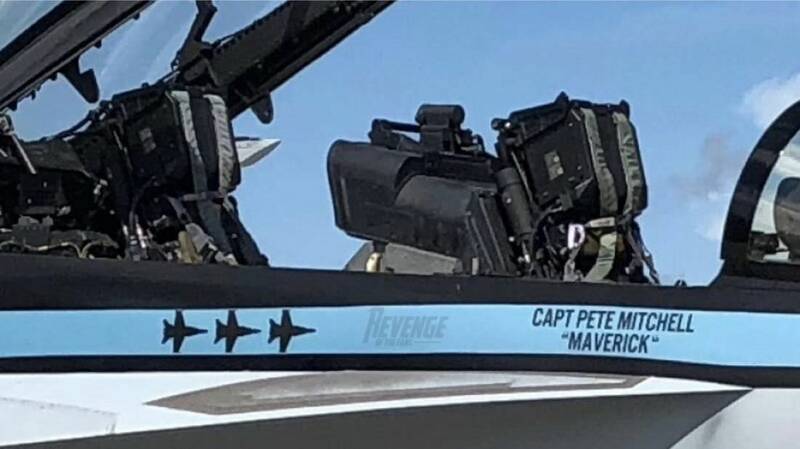 Given the Top Gun logo on the tail, I think it's safe to assume that's an adversary and perhaps Pete Mitchell is now the Top Gun skipper. That would explain the F-18 kill markings. 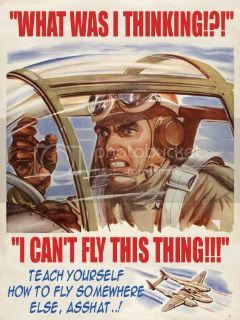 Although, if he's the Top Gun skipper, wouldn't he need hundreds or even thousands of kill markings if it counts those? Unless he's completely incompetent? I mean, Jester had several kills just in the class Maverick was in. Frankly, I think JAG should investigate this. If you are still at Lemoore, you should say Hi. I'm across the taxiway at the air terminal. Those are probably the number of planes he's crashed due to his idiots flying. Look’s like that is the Carolina Panthers edition.